Airport Transfer: transfer from the airport to patong som guesthouse with private taxi is 700Baht(for 1~2pax,for 3~4pax : 800baht). Motorbikes are also available at 200 Baht / day. Wi-fi Free Internet: bring your laptop with you and stay connected to the web 24 hrs / free of charge. 24 hours. Internet: Wireless internet access in the lobby and all rooms. Bring your laptop. SOM Guesthouse have diving shop(DEVILSDIVERS) and SOM Restaurant(breakfast:79baht), tour agency. You can book with reasonable price for daytour in Phuket. 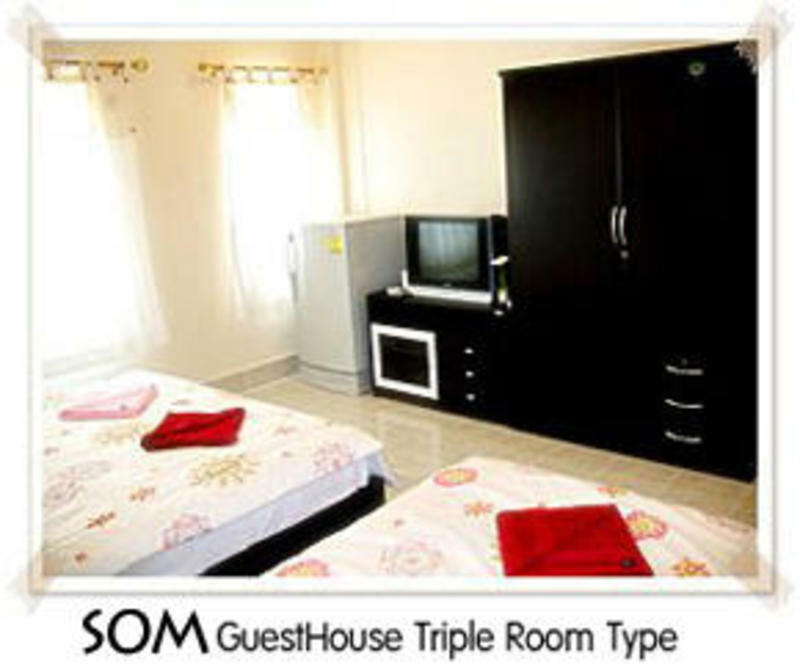 Now enjoy with Som guesthouse in Patong,Phuket! If you arrival at our guesthouse,full balance of payment as stated in booking will be collected upon check -in. Amendments and cancel to original booking must be make directly to property at least 72 hours(3 days) before your arrival date .Failure to do so will result in your credit card be charged for the WHOLE amount. Full amount charged for the whole length of booking in case of NO SHOW . you say 'Patong post office Rat-u-thit 200 rd'. Maybe service charge is 600~700baht. Opposite side of Patong post office , near by Chabad house and between IBIS Patong Resort and Andaman Beach suite hotel.